Starting with a site considered unbuildable and owners committed to sustainable architecture, this contemporary home provided numerous design challenges. 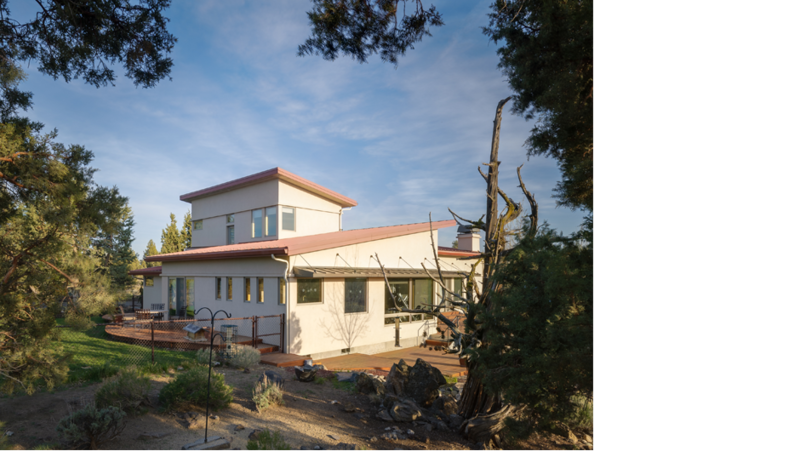 We overcame the first challenge by securing a Conditional Use Permit from Deschutes County that would allow a home to be built on this property.The next challenge was to reconcile requirements that seemed to oppose each other. Could we perch the home on top of a rise to maximize views, yet nestle it into the landscape to avoid conspicuousness? 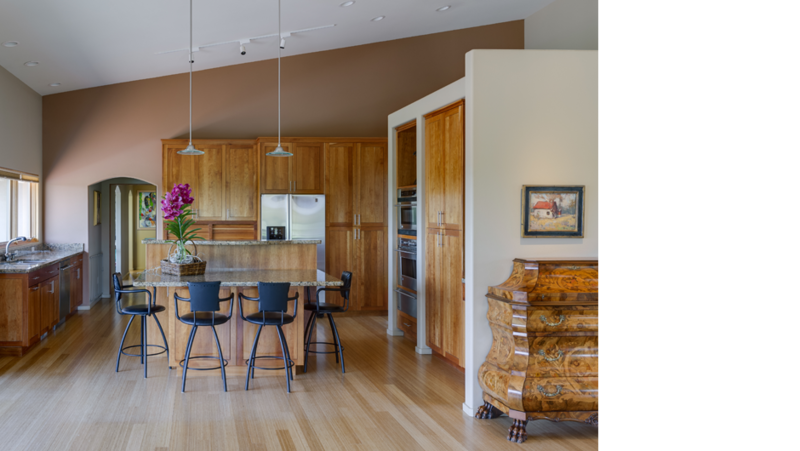 Would it be possible to capture the spectacular views, while leaving enough wall space to display a vast art collection? 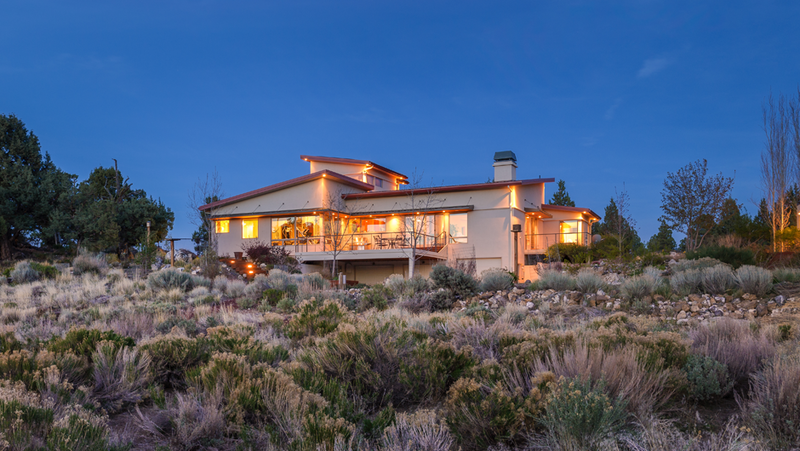 Careful siting and varied, low-slung roof lines resulted in a low-profile contemporary home that both blends into the high desert landscape and seems to dance along the hills. 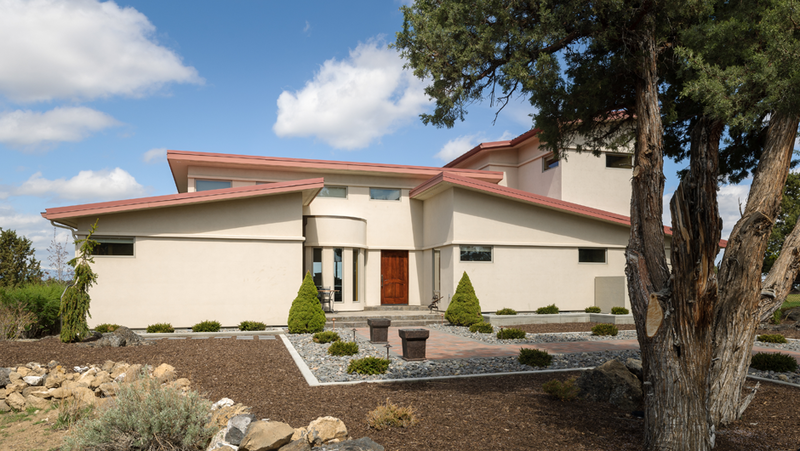 By jogging the southwest corner of the house and adding spacious windows, we captured solar heat gain in the winter and mountain views year round. 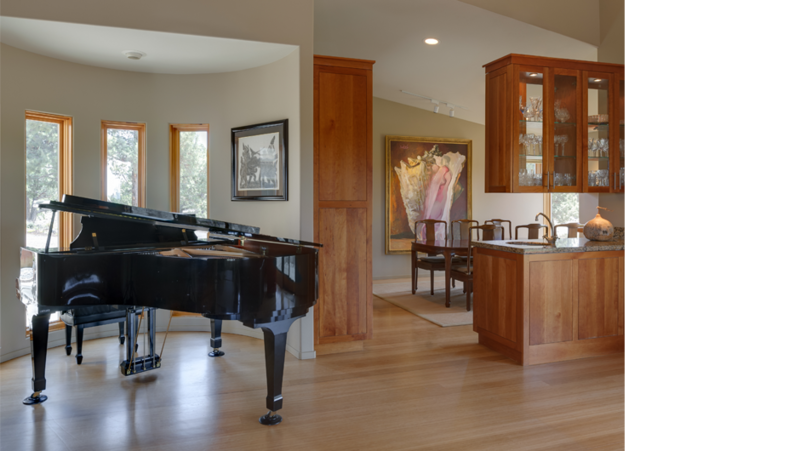 Inside, the open layout showcases a magnificent art and furniture collection. 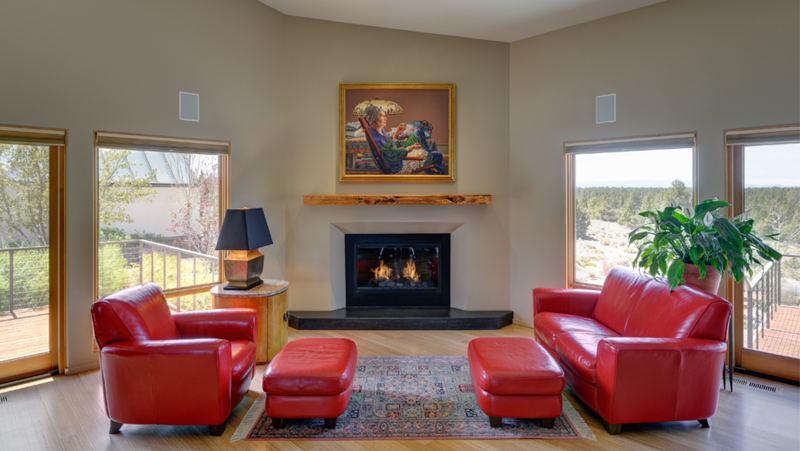 Above the fireplace, a hinged painting disguises a plasma television screen. 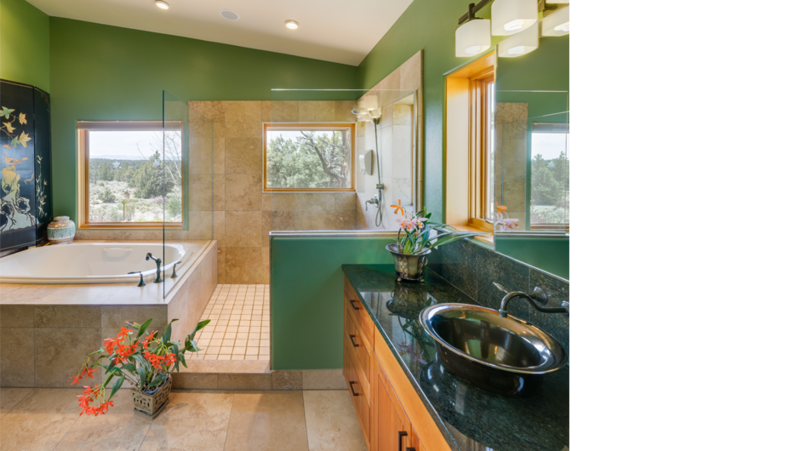 Additional artistic surprises include an angled interior wall and a hand-made front door. 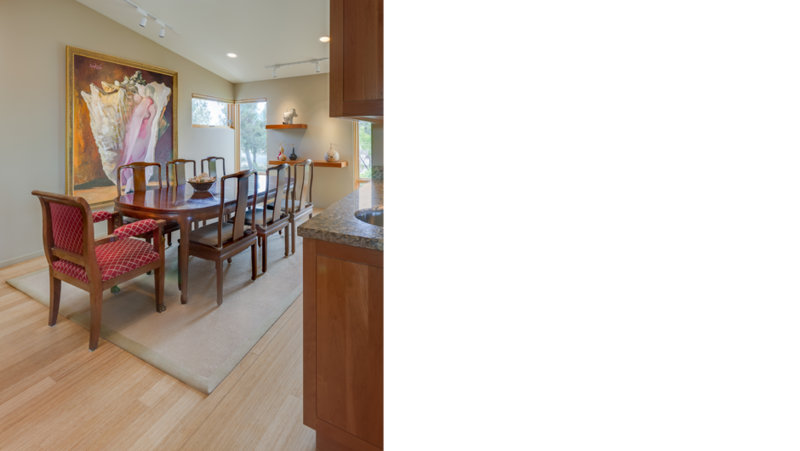 Solar hot water and radiant floor heating combine comfort with energy conservation, resulting in sustainable architecture that feels cozy and comforting. This tasteful and elegant contemporary home proves you don’t have to sacrifice style for sustainability.